Take a look at the attached document with the options for sessions for our Tech Morning. Select one session per time frame and then register for your selected sessions by filling out this form You must fill out the form by 3:00 on Wednesday November 1st so we can finalize the schedule. If you have any questions, please let Courtney know! A GIANT thank you to our volunteer presenters. They have some great things planned for you. Remember, this professional development opportunity is voluntary. If you need to stay in your building, please do so! Please remember that you should have 50% of your library budget spent by the start of Winter Break (December 22nd). In our OneNote OPS School Librarians (July 2017) you will find a tab named Collection Development. Within that page are pages for Elementary, Middle and High which contain collection development lists from BTSB and Mackin. I will add the lists from Follett as soon as I have them. These lists will remain available through the end of this school year. We recognize all diverse experiences, including (but not limited to) LGBTQIA, Native, people of color, gender diversity, people with disabilities*, and ethnic, cultural, and religious minorities. The diversity lists are intended to help us to continue to find books for our libraries that reflect the communities we serve. 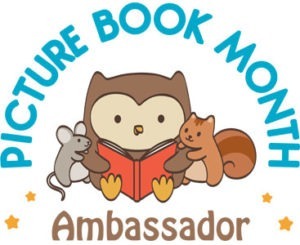 Picture Book Month is an international literacy initiative that celebrates the print picture book during the month of November. Visit the link below for activities, a promo kit, and much more! Make books even MORE fun for students! Share these fun bookmarks to help them fall in love with reading. They can fill in their own book lists and ZPD range. Available in color or grayscale. (Hint: Print on card stock for best results). Each November - National Family Literacy Month - we lift up and celebrate the tireless efforts of family literacy and family-focused programs. No matter your focus on literacy and education (health, reading, STEM, civic engagement, financial literacy), NCFL wants to hear from you this November. Share your own stories of successful literacy practices and accomplishments using #FamilyLiteracyMonth on Twitter throughout the month of November. Please be advised that you will need to verify professional reviews and determine if these books fit the needs of your school. You will also need to use a vendor approved by library services. Connecting educators and parents with the tools and resources they need to help kids explore and understand the world around them. Together we can inspire the next generation to build a future where people and nature thrive! Choose from a growing library of free animal and nature related teachers guides, fact sheets, and activity plans that are aligned with national education standards. The activities in the toolkits are geared to help students develop their understanding of the natural world and to reflect on how their own actions can help shape the future. Five strategies to help students respond well to uncertainty—and foster complex problem-solving skills. What would happen if we invited uncertainty into our classrooms? If you're not sure how to answer this question, you're not alone. What makes this question difficult is that most of us don't like uncertainty. It's uncomfortable. We do our best to avoid uncertainty and if we experience it, we attempt to quickly resolve it. In the context of classrooms, educators often replace uncertainty with overplanned learning experiences. We go to great lengths to clearly define the problems our students will solve, how they should solve them, and the desired outcomes. There are benefits in doing so beyond maintaining a sense of consistency, calm, and control; students can and do learn from routine problems and assignments (Lee & Anderson, 2013). The key limitation to these types of learning experiences is that they don't give students opportunities to engage with uncertainty. Just as you can't learn to swim if you never get in the water, students won't learn how to respond productively to the unknown if we never give them opportunities to do so. What if instead of trying to eliminate uncertainty, we welcomed it into our classrooms? Doing so requires a shift in how we think about uncertainty and its place in fostering problem solving. Five strategies can help us make that shift. Check out the entire October 2017 issue of Educational Leadership in Ebsco. In early 2015, the Omaha Public Library began offering Omaha World-Herald archives through NewsBank, thanks to a donation by the Gilbert M. and Martha H. Hitchcock Foundation to the Omaha Public Library Foundation, allowing Omaha Public Library cardholders free access to Omaha World-Herald articles from 1878-1983. Recently, another gift from the Hitchcock foundation and many other Omaha library foundation supporters helped to purchase digital archives of Omaha’s weekly African-American newspaper, the Omaha Star, from 1938-2011, ensuring that this valuable resource will be available to library patrons for perpetuity. Attached are the Mini-Grant cover letter and application form for this year. All elementary and secondary school instructional personnel (Pre-K - 12), regular and special education (preschool special education programs) are elligible to apply. NCJW mini grant cover letter 2017-18.